The Right Reverend & Right Honourable Richard Chartres was given an Award of Doctor of Divinity honoris causa by City in 1999. Ordained in 1973, Chartres was instated as the 132nd Bishop of London in 1995, having been Bishop of Stepney from 1992. He is also a member of the Privy Council and was created a Knight Commander of the Royal Victorian Order (KCVO) in 2009. 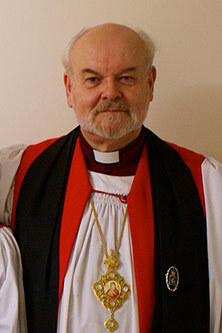 Prior to becoming a bishop, Chartres was Professor of Divinity at Gresham College, London between 1987 and 1992.